Shinto Shrines: An introductory photographer’s guide! 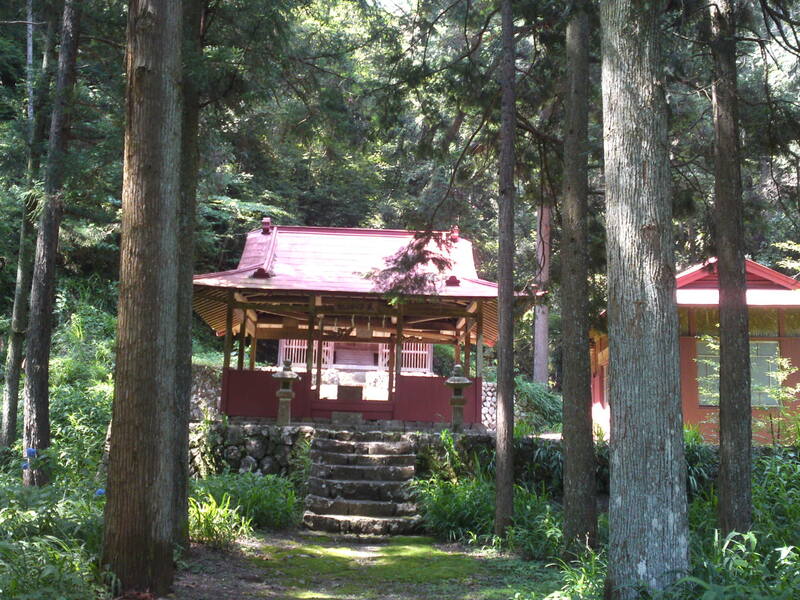 Ashitsuki Shrine lost in the trees in Ashikubo, Shizuoka City! With the New Year and its festivities approaching, the Japanese are getting ready for their traditional visit of their local Shinto Shrines. 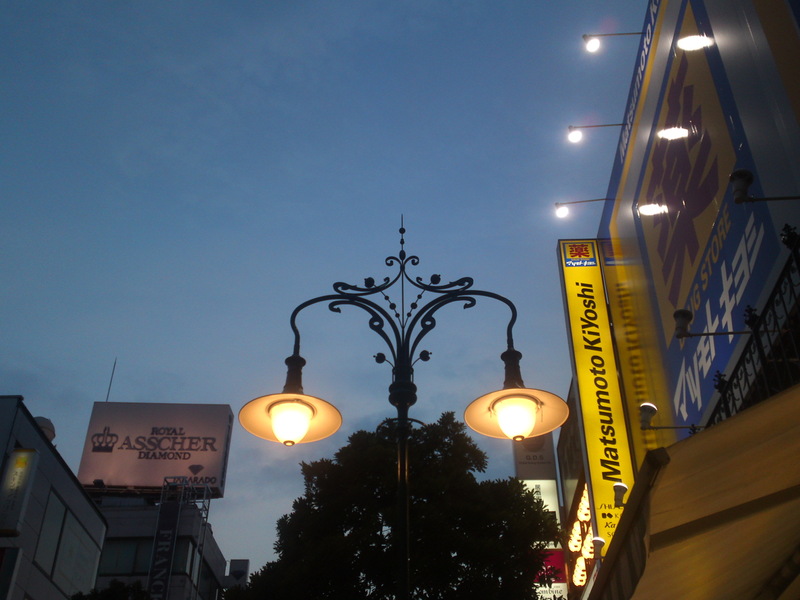 It also turns into a very special time for photographers keen on capturing truly Japanese scenes. To help the latter here is a simple but sufficient introduction to a fruitful visit of any shrine of any size or importance near your location! 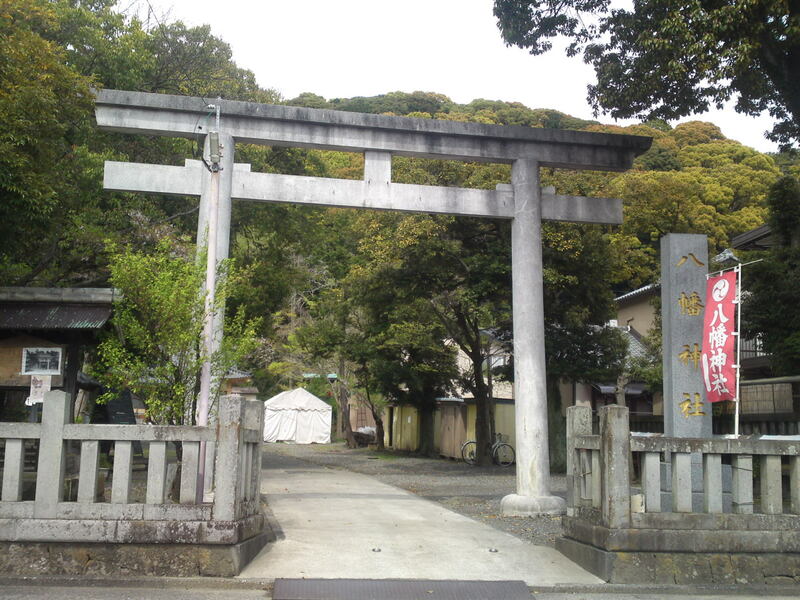 A very unusual triple torii gate on the way to Atago Shrine in Shizuoka City! Entering the shrine compounds through one of the “torii”/sacred gates. 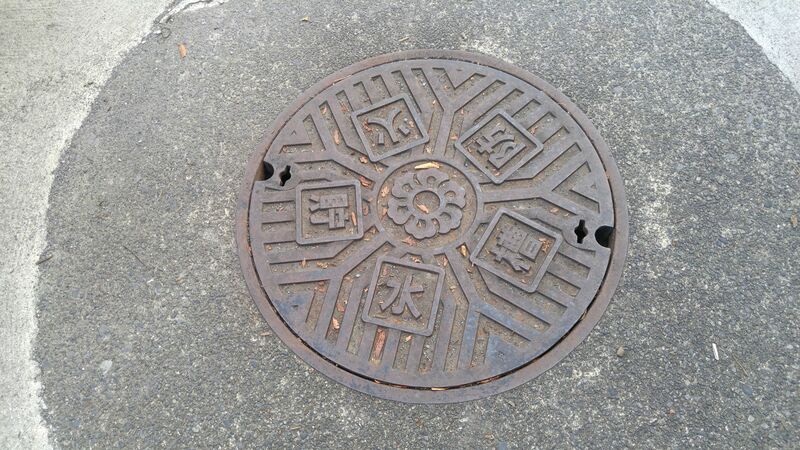 Whereas Shinto Shrines and Buddhist temples share quite a few traits in common, such portals are to be found at Shinto Shrines only. 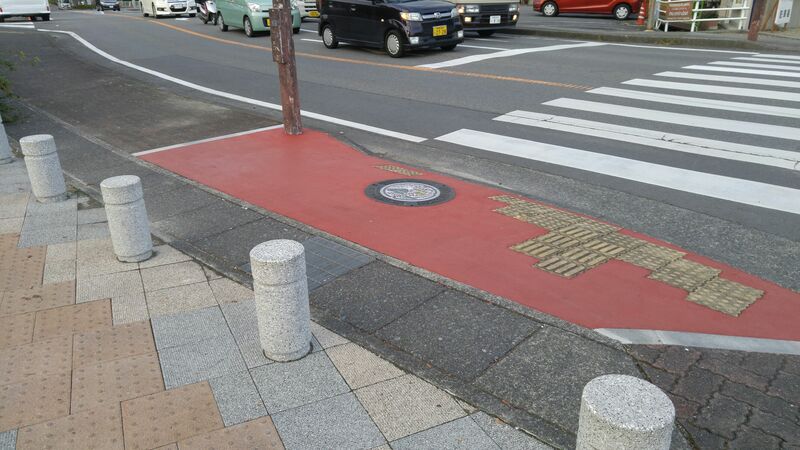 Likewise, sake under the form of large casks will be found only at Shinto Shrines while cemeteries are the sole responsibility of Buddhist temples. 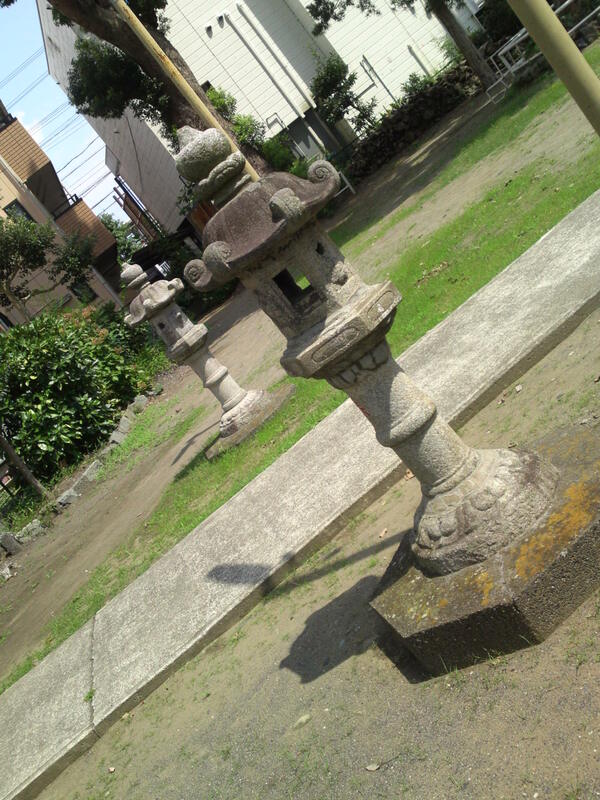 A tiny wooden torii with top curved beam made out of a real tree trunk! 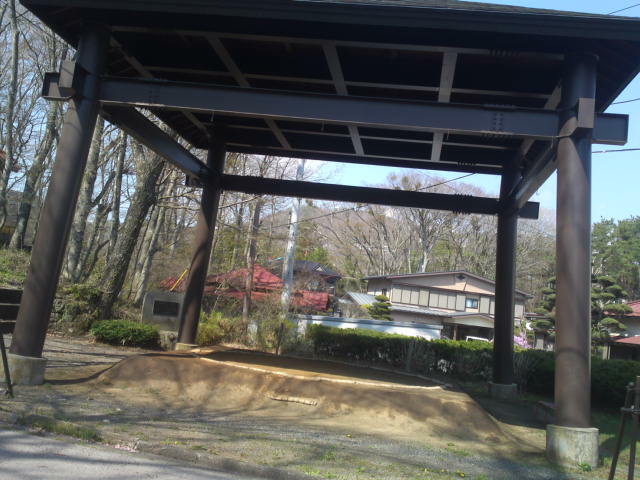 Torii with a straight top beam at Yaata Shrine, in Suruga Ku, Shizuoka City! 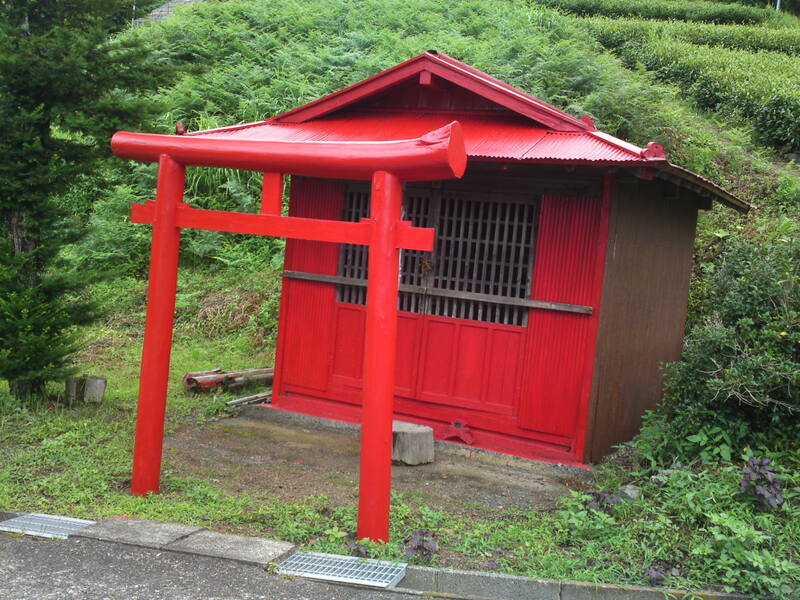 The torii gate can be made either of wood (generally painted in red), stone, concrete or even metal. 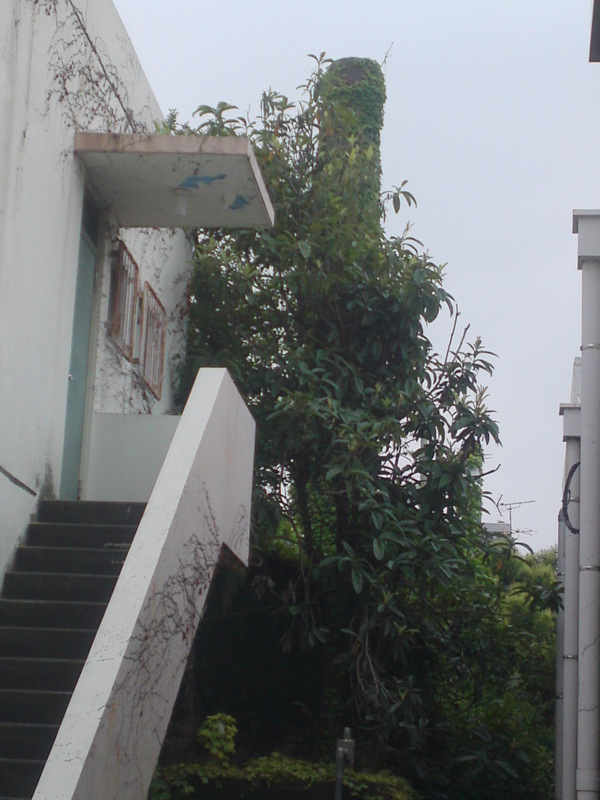 The top beam might be straight or curved. 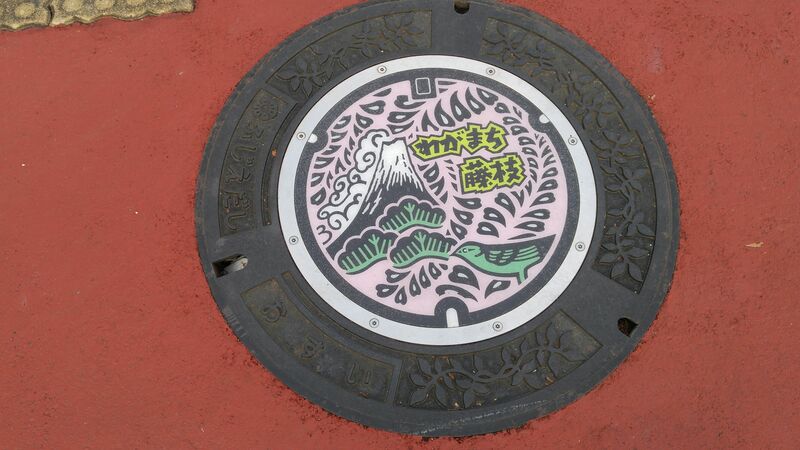 Sengen Shrine in Shizuoka City! 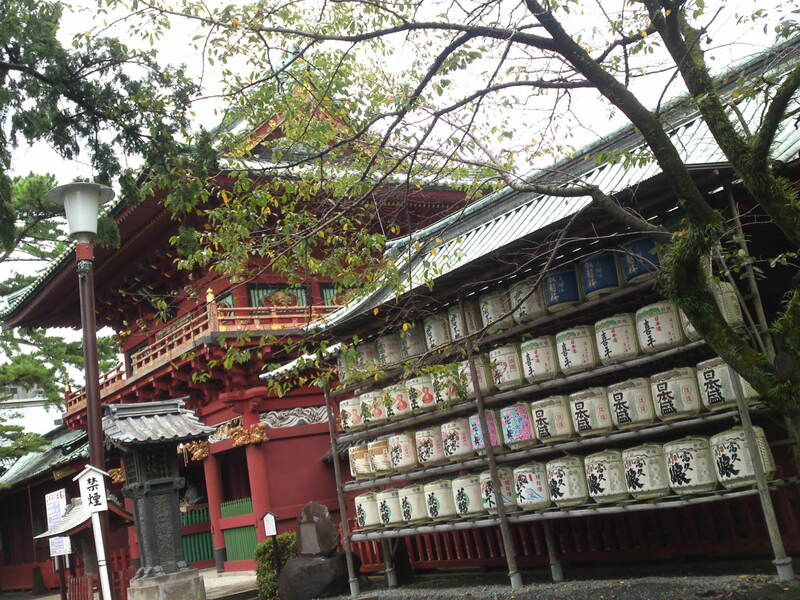 Large Shinto shrines will often exhibit the sake casks donated for the New Year by rich worshipers. Sake/rice wine is considered the drink/nectar of the gods. A simple way to wash your hands is to scoop some water and run it over your left hand and then your right hand although some shrines will indicate how to do properly. 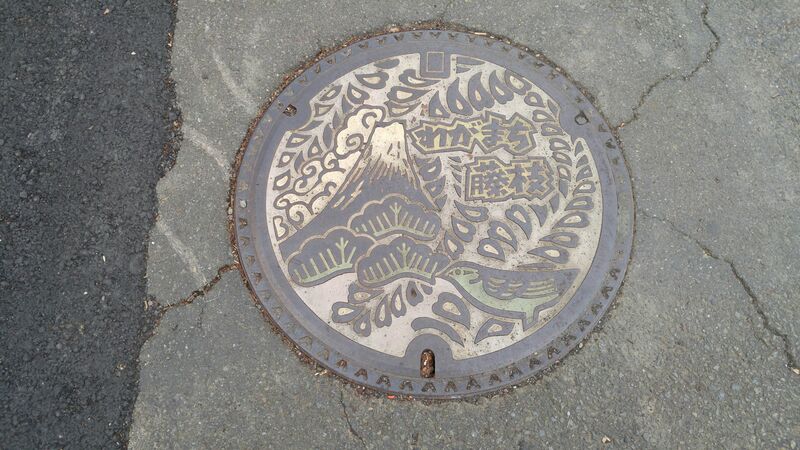 Suwa Shrine near Yamana lake, Yamanashi prefecture! Sumo has always been strongly associated with the Shinto religion. 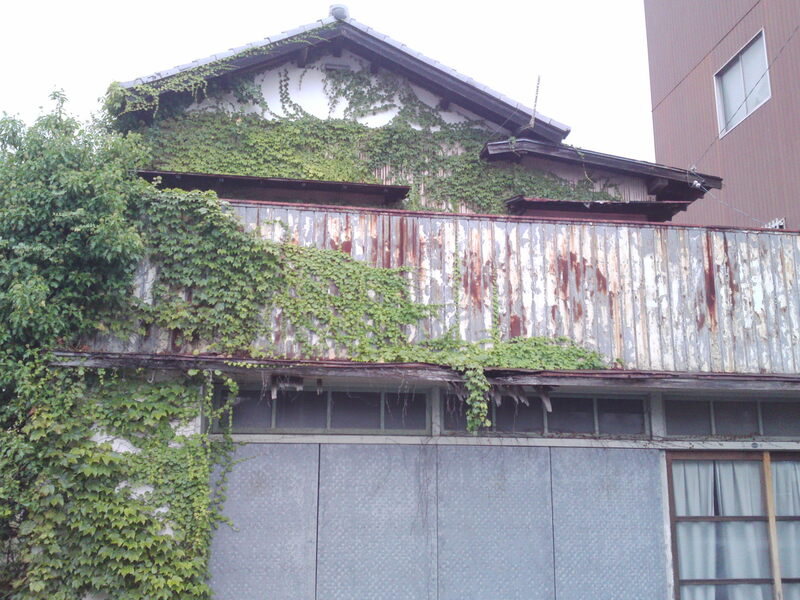 Accordingly, some Shinto shrine will shelter a sumo ring where annual tournaments occur. 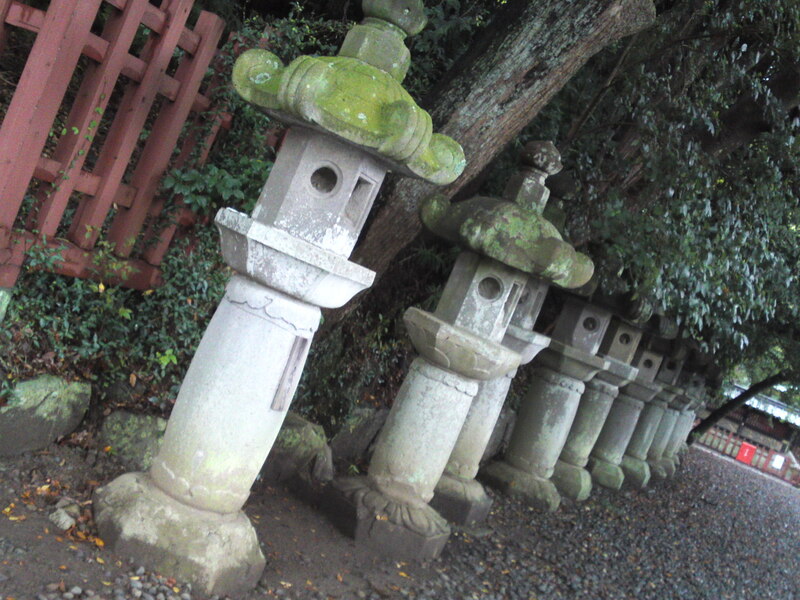 Stone lanterns/”ishidoro” of all kinds and sizes can be found at most shrines. The bigger the shrine, the larger the number. Monjyu Atago Shrine in Shimizu Ku, Shizuoka City! They are hollow to hold candles (or bulbs) and sport various designs such as simple hollowed moon crescents or moon, or more elaborate carvings featuring clouds, mountains, deer and else. 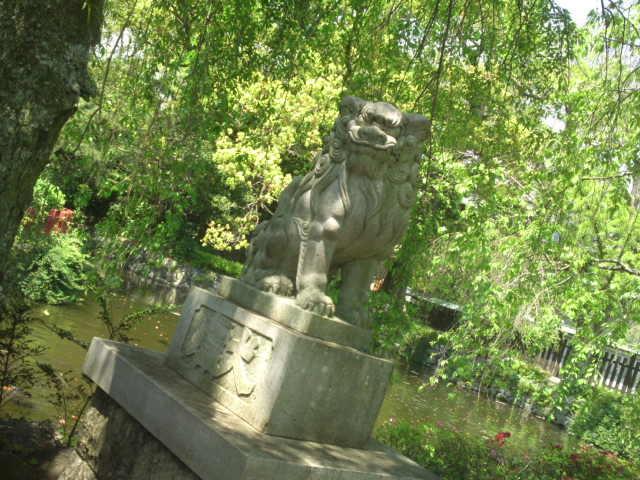 Closed mouth lion guard at Mishima Taisha Shrine! You will find all kinds of animal guardians usually in pairs, such as lions, foxes or monkeys and even birds, boars, and what else. 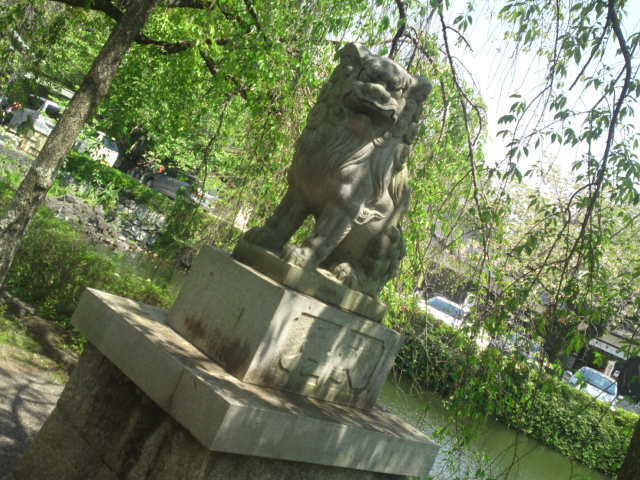 A closed mout lion guard at Mishima Tasiha Shrine! 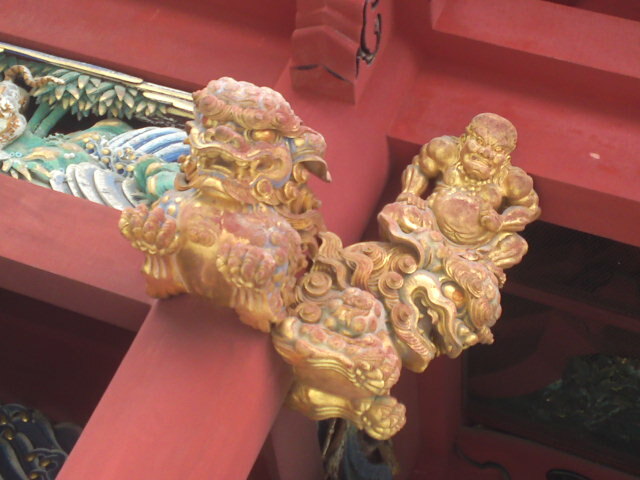 The lion guards called “shishi” or “koma-inu” appear under the shape of two statues facing each other, one with its maw closed, the other one with its mouth open. But you might discover them into other places such as under the eaves of the shrine. 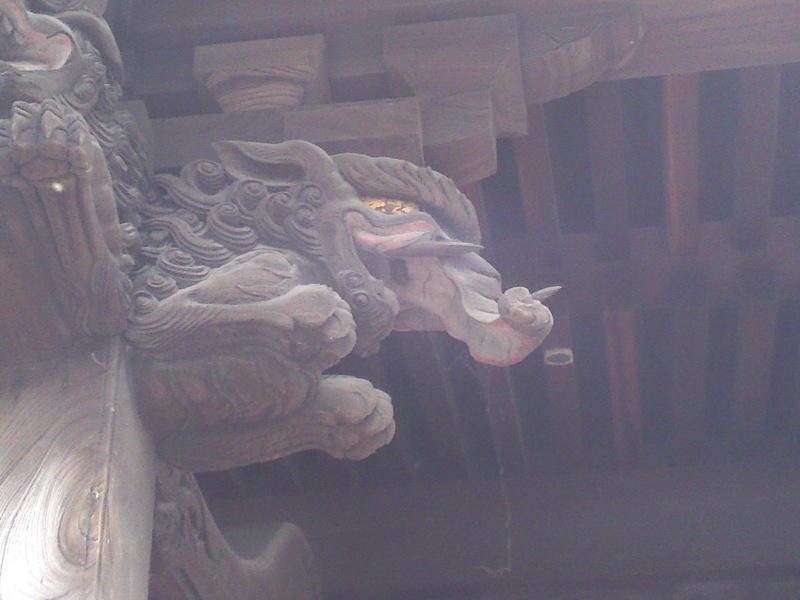 A rare lion guard mounted by a “oni”/goblin in Sengen Shrine in Shizuoka City! 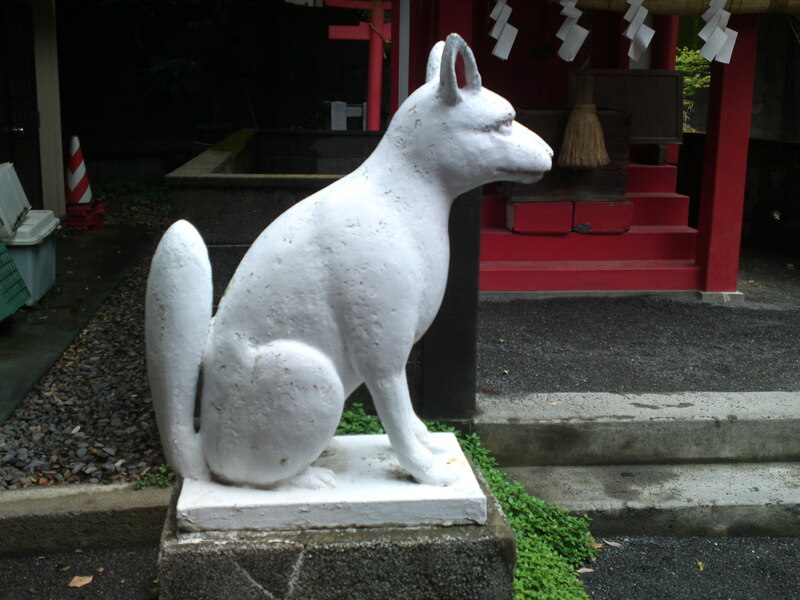 Fox guardians/”kitsune” stand at all “inari/Godess of Agriculture” Shrines. 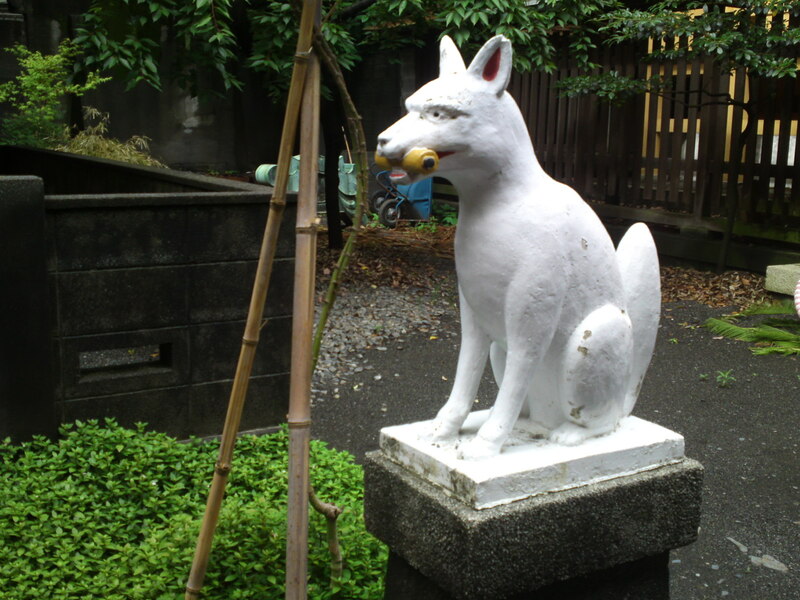 The other fox at Ogushi Shrine! 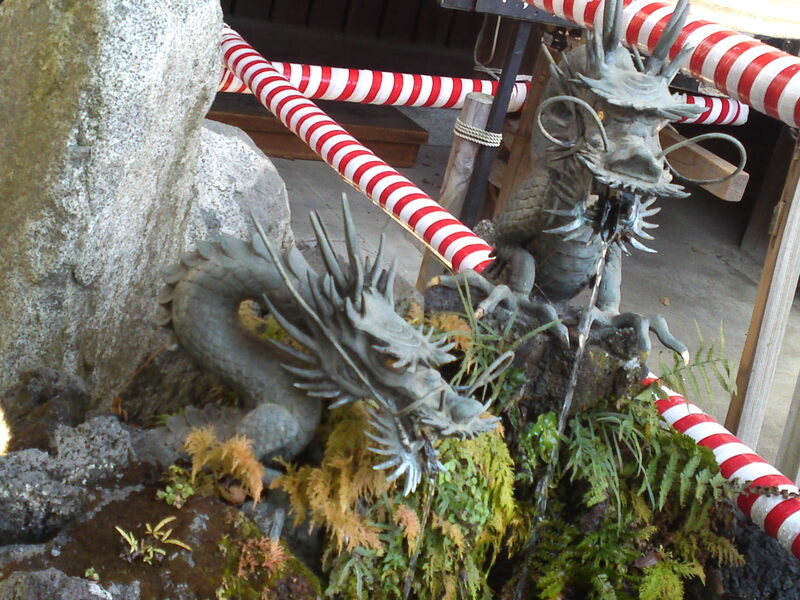 Other “animals” encountered at Shinto Shrines. 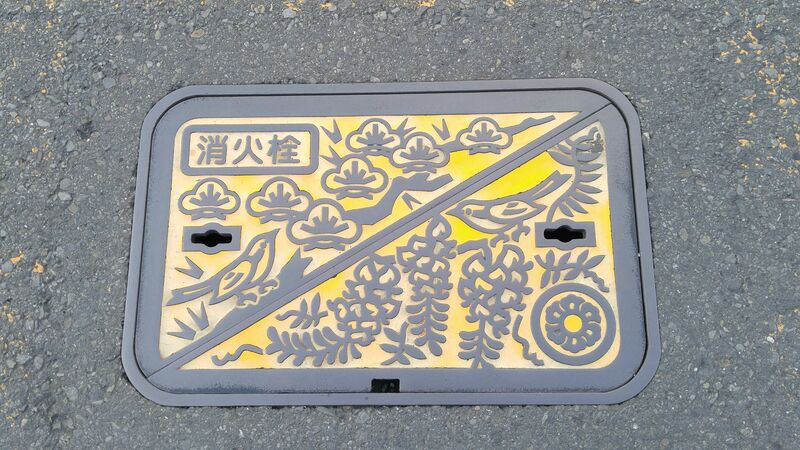 Dragons/”tatsu” at Ooi Shrine in Shimada City! 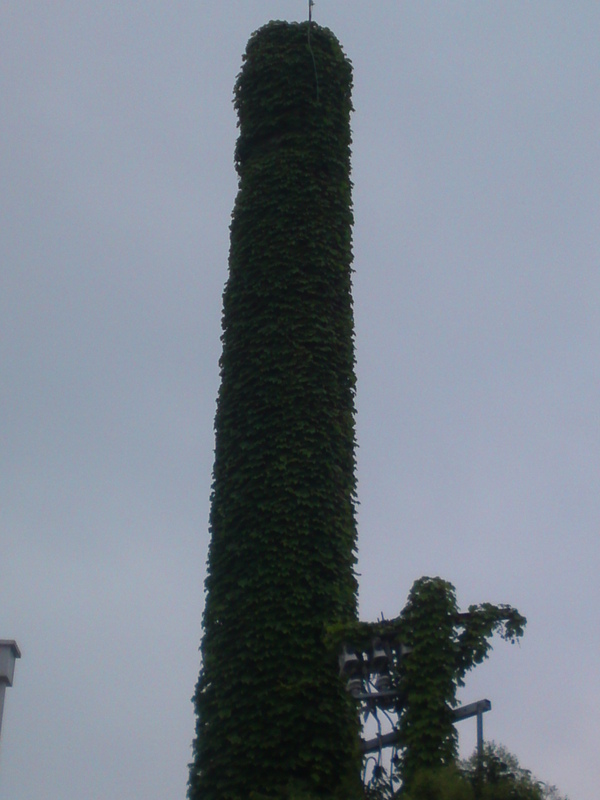 Elephant-like nightmare eaters/”baku” at Mizu Shrine in Shimizu Ku, Shizuoka City! 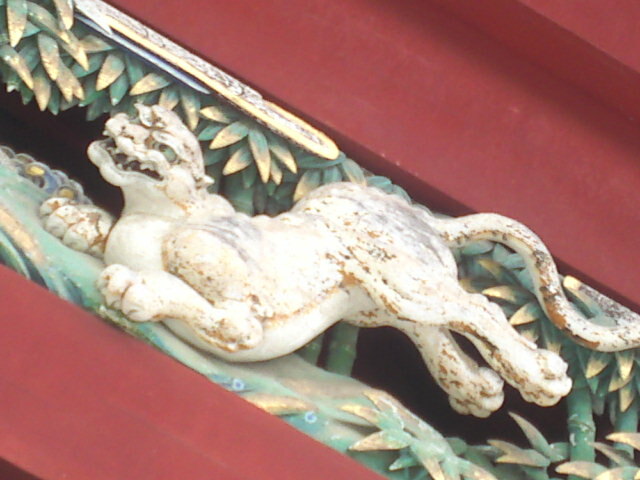 Tiger/”tora” in Sengen Shrine, Shizuoka City! 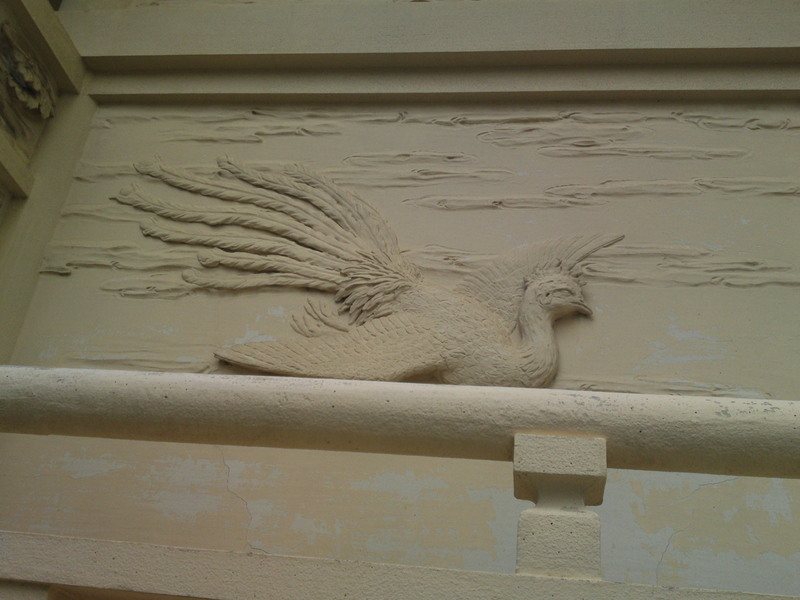 Phoenix/”hoo” in Okitsuhiko Shrine in Shizuoka City!! 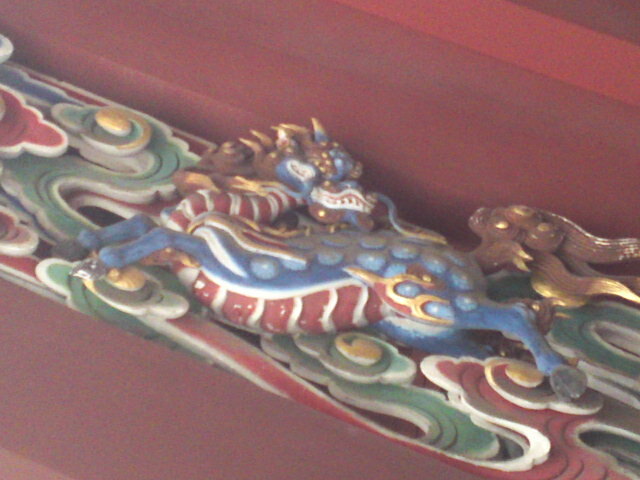 Dragon horse/”kirin” in Sengen Shrine! 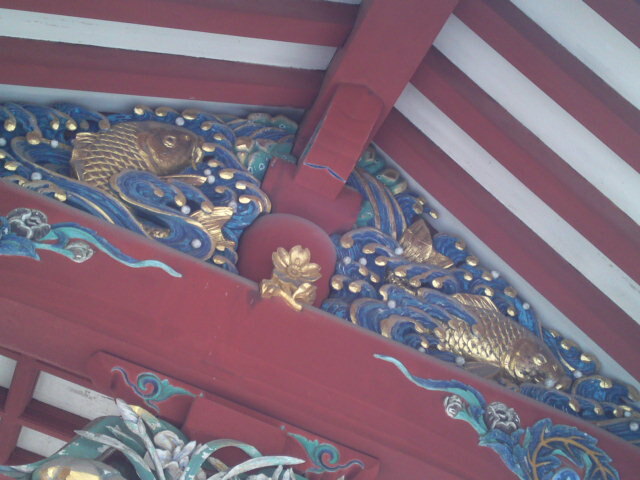 Carp/”koi” in Sengen Shrine, Shizuoka City, and many, many more such as bulls and cows, horses, even frogs and kites (bird)! 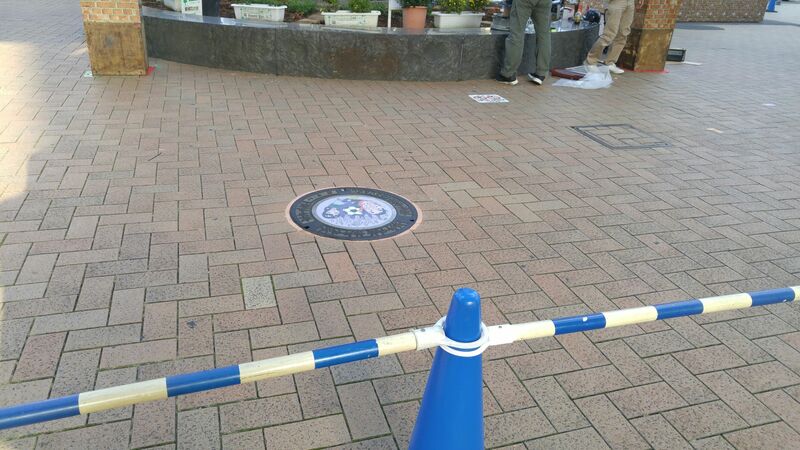 Inomiya Shrine in Shizuoka City! 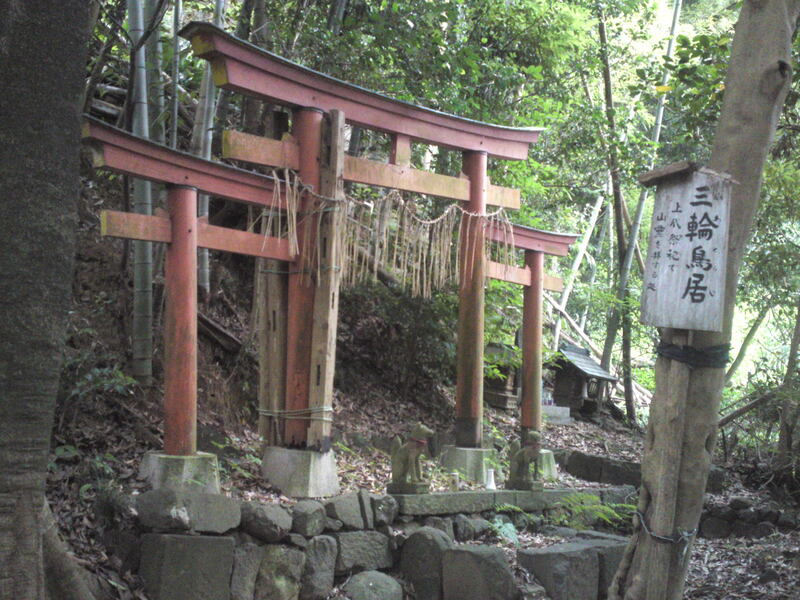 Shinto shrines are typically marked with a “shimenawa”/ rice straw garlands and “shime”/strips of white paper to ward off evil spirits, or placed around trees/objects to indicate the presence of a “kami”God. Made of rice straw or hemp, the rope/garland is called nawa. The pieces of white paper that are cut into strips and hung from these ropes (often hung from ropes on Torii gates as well) are called “shime” or “gohei”. (1) the Haiden, or oratory, before which worshipers say prayers. 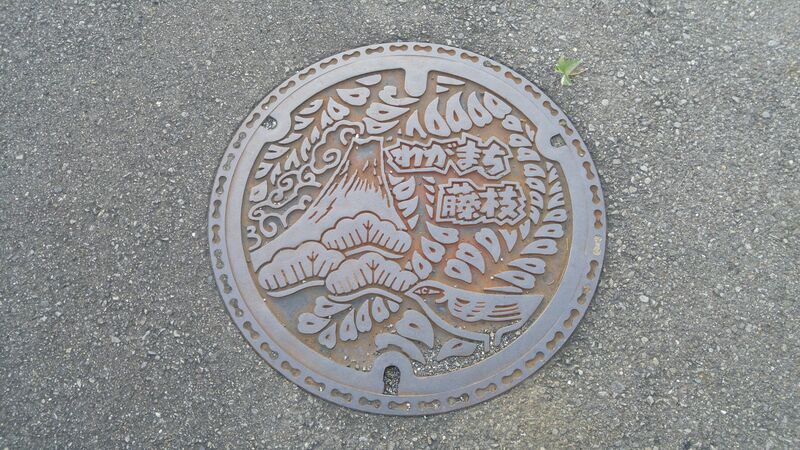 Ishida Shrine in Suruga Ku, Shizuoka City! 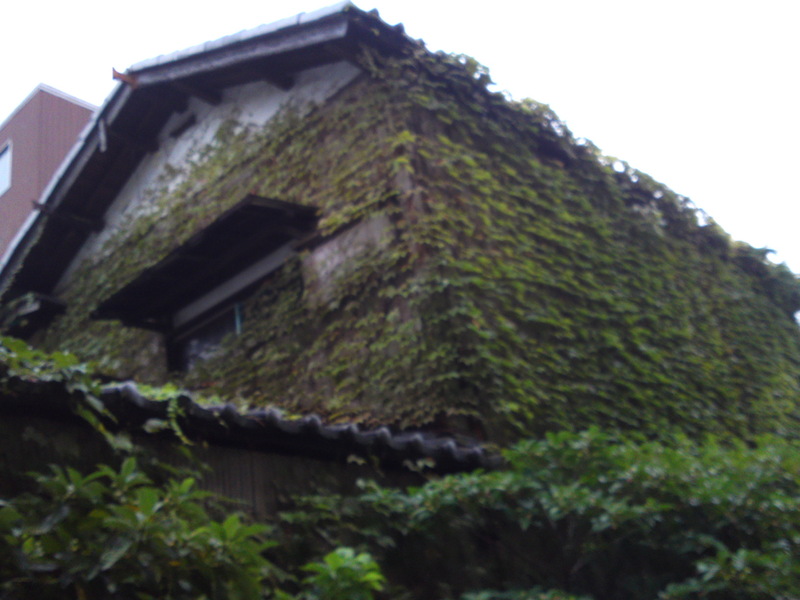 (2) the Honden, or inner sanctum, the main dwelling of the deity. 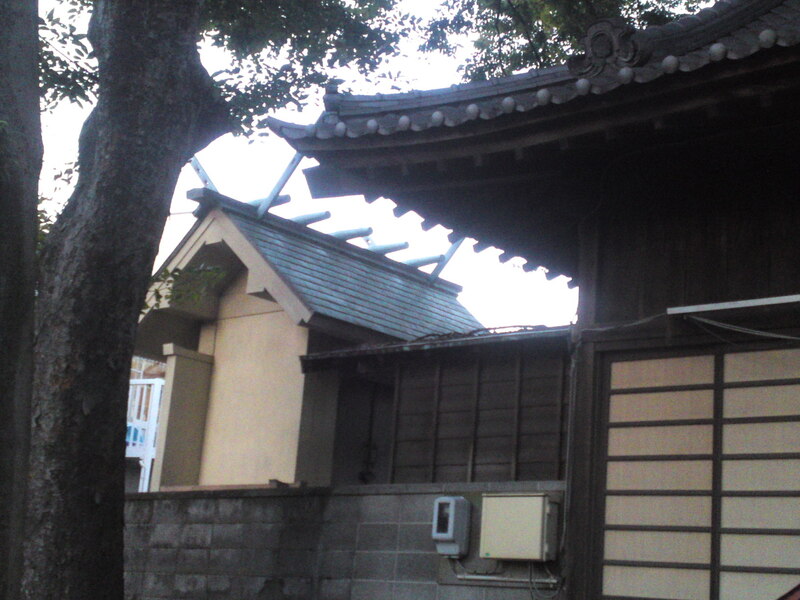 The Honden is built behind the Haiden. One also often finds a third structure between the Honden and Haiden called the Heiden (Hall of Offerings), open only to the priests when they are making offerings on behalf of devotees. 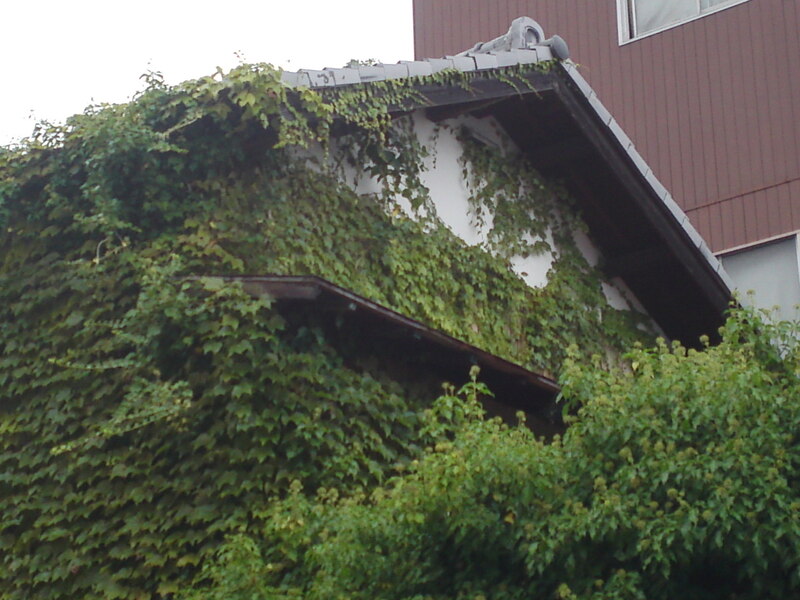 Shintō architecture is usually “down to earth,” blending rather than conflicting with the natural setting. 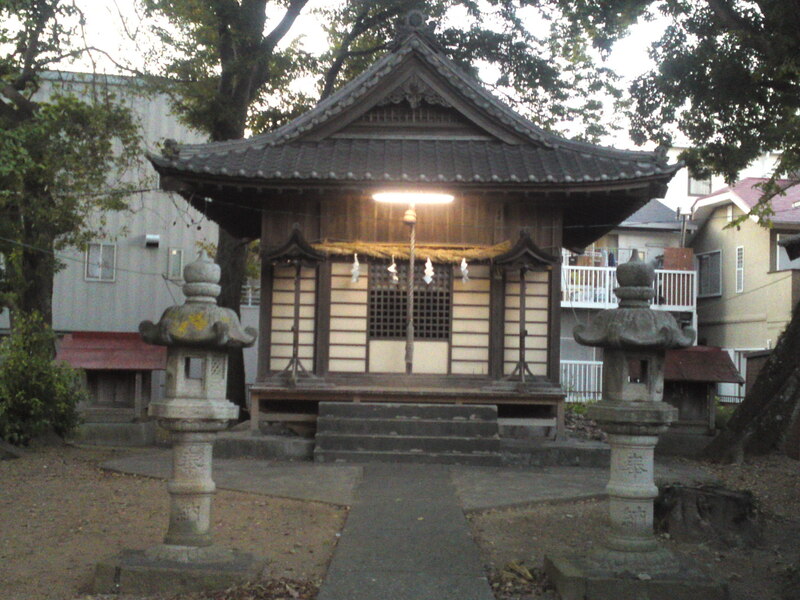 Shrines are typically stand-alone complexes, but shrines can often be found within Buddhist temples as well. 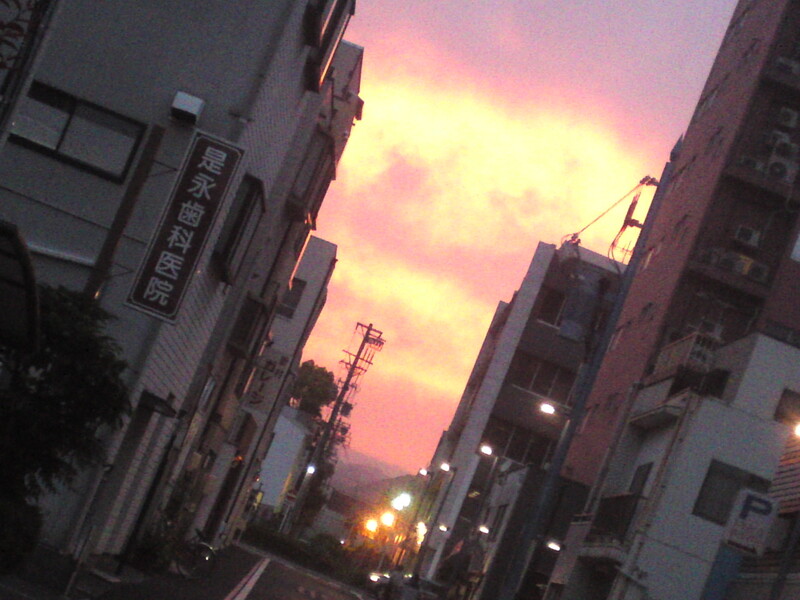 Shintō roofs are usually peaked, and most everything is painted red (but not always). 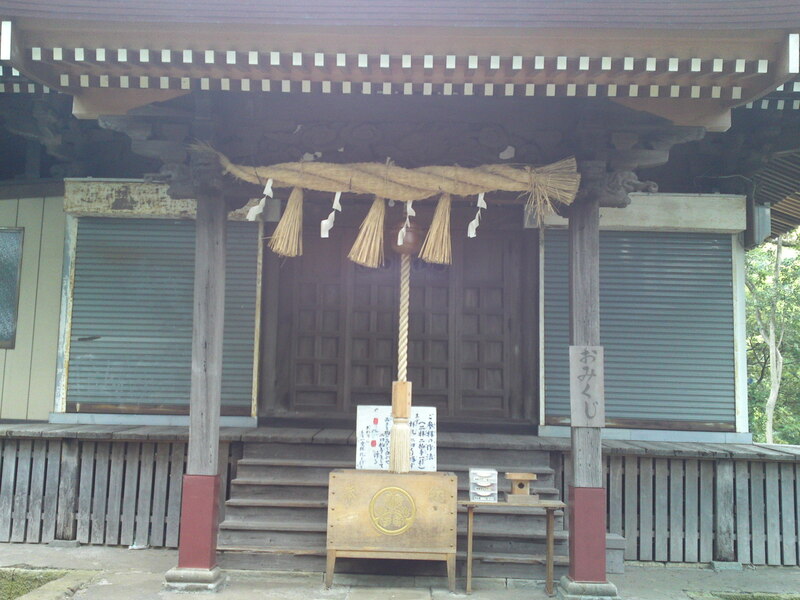 The presence of a torii (gate), two shishi (lion-dog) guardians, shimenawa (ropes with white paper), and the absence of a cemetery, are all telltale signs of Shintō shrines. 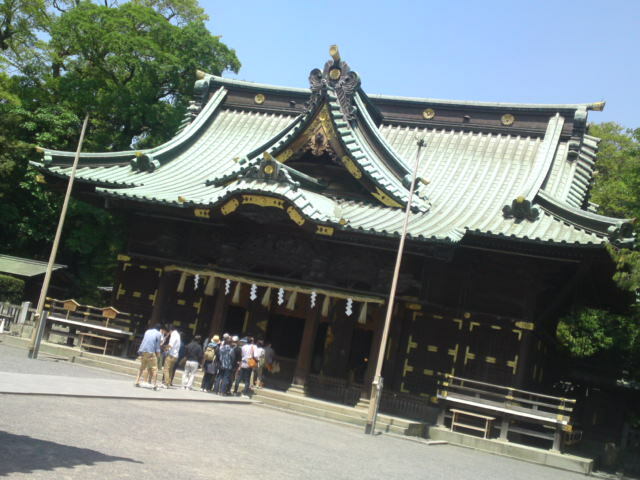 You can tell whether the deity housed at the shrine is male or female by looking at the roof of the shrine. 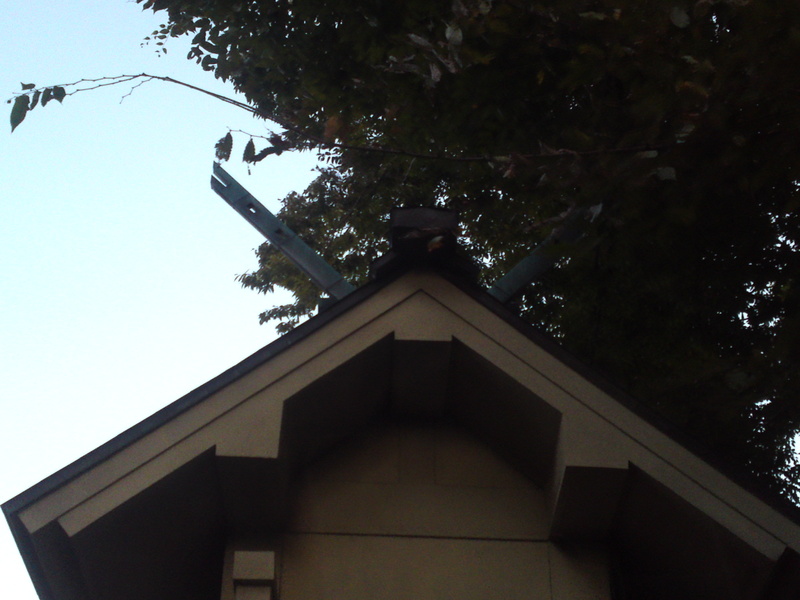 On some shrines (not all though) you may find horn-like cross boards on the roof. 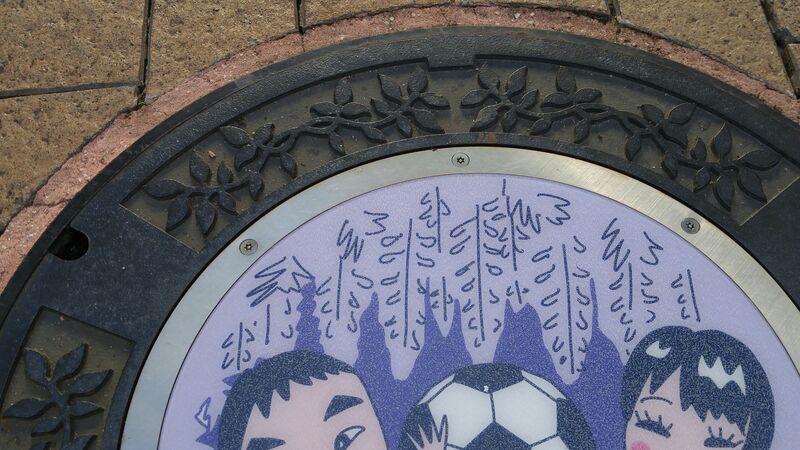 If the ends of the boards are cut so the flat edges face up, then the deity is usually female. 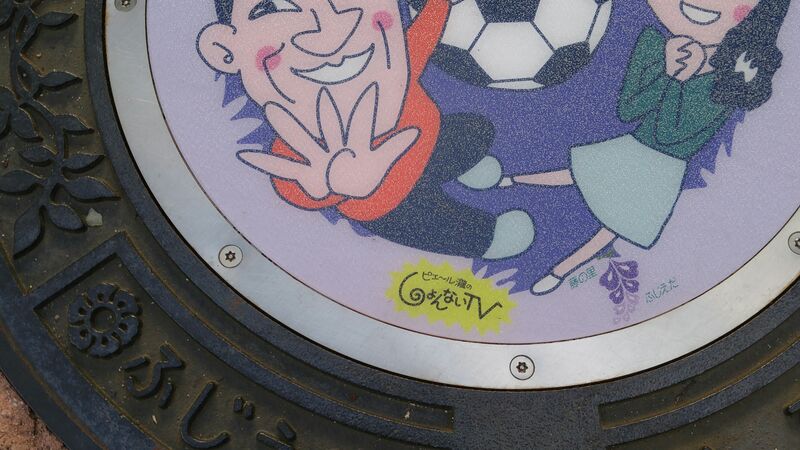 However, if the boards are cut so the flat edges face sideways, the deity is usually male. 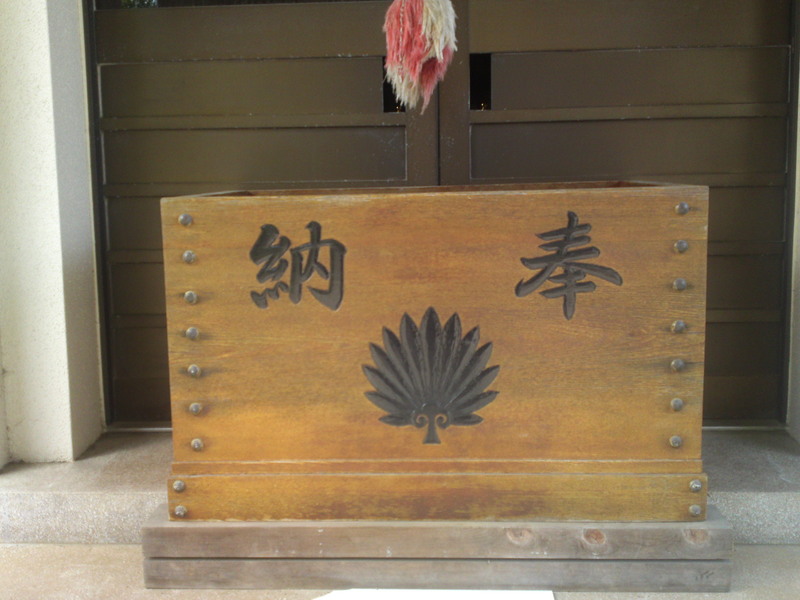 Money offerings box in Shirahige Shimojima Shrine in Shizuoka City! 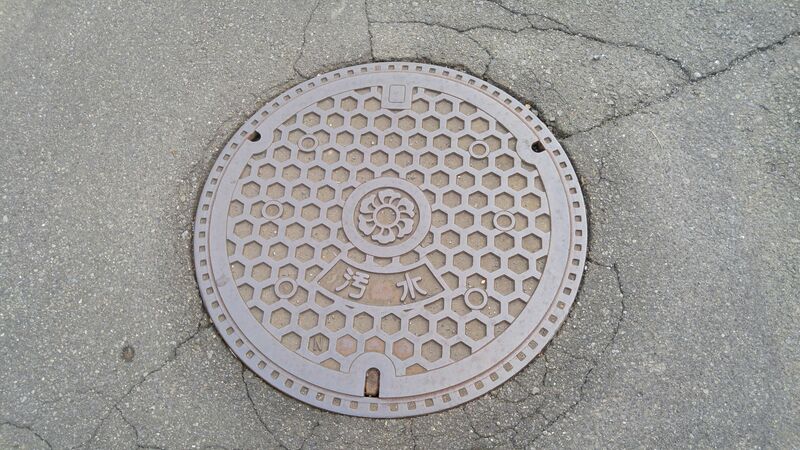 Worshipers usually first throw coins into the money offering box/”saisen”, clap their hands to call the God’s attention, pull the bell rope and pray before bowing away. 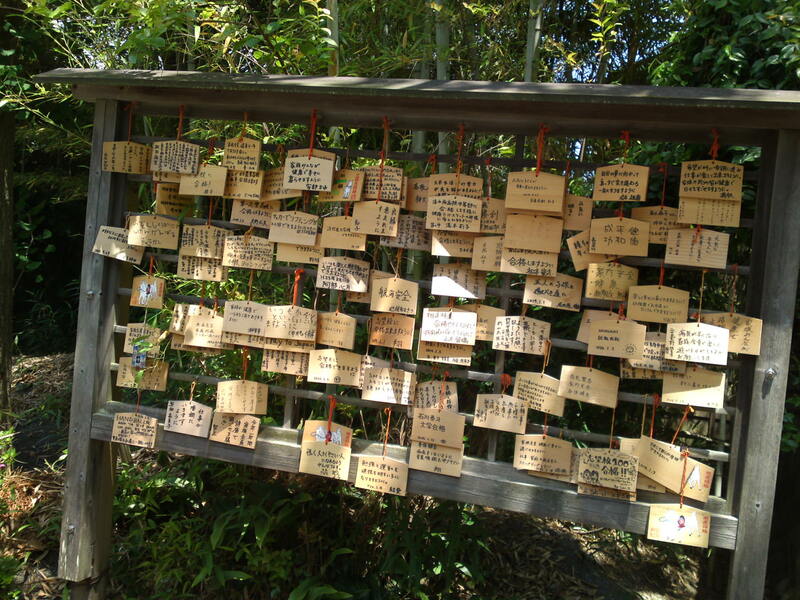 Votive plaques at Miho Shrine in Shimizu Ku, Shizuoka City! 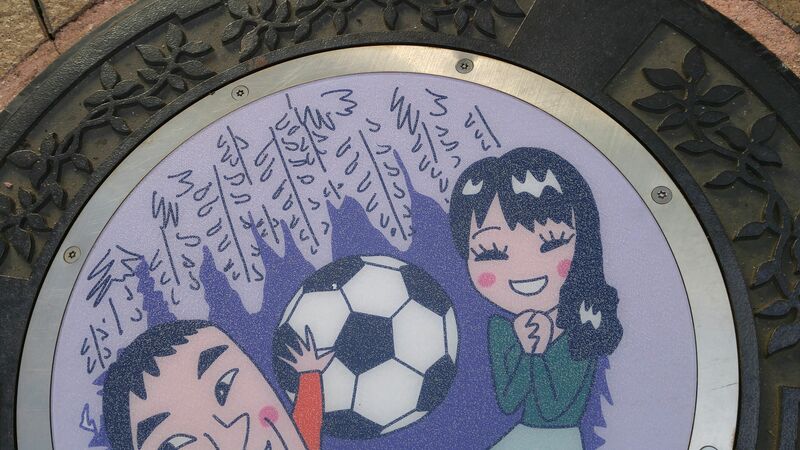 “O-mamori”/protective amulets, “O-inori”/paper prayers, “Hamaya”/evil-destroying arrow, “Ema”/votive plaque,”Omikuji”/lucky or unlucky oracle, and more! 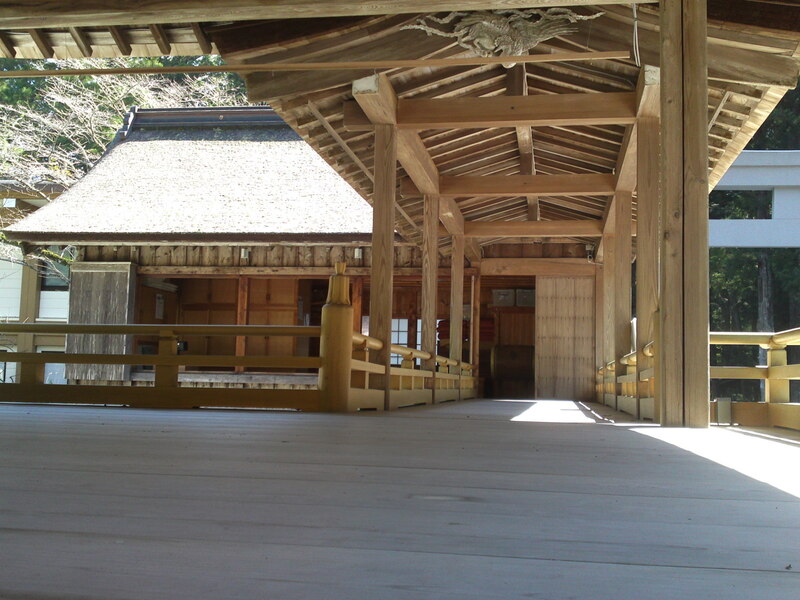 Noh stage at Okuni Shrine in Mori Machi, Hamamatsu City! 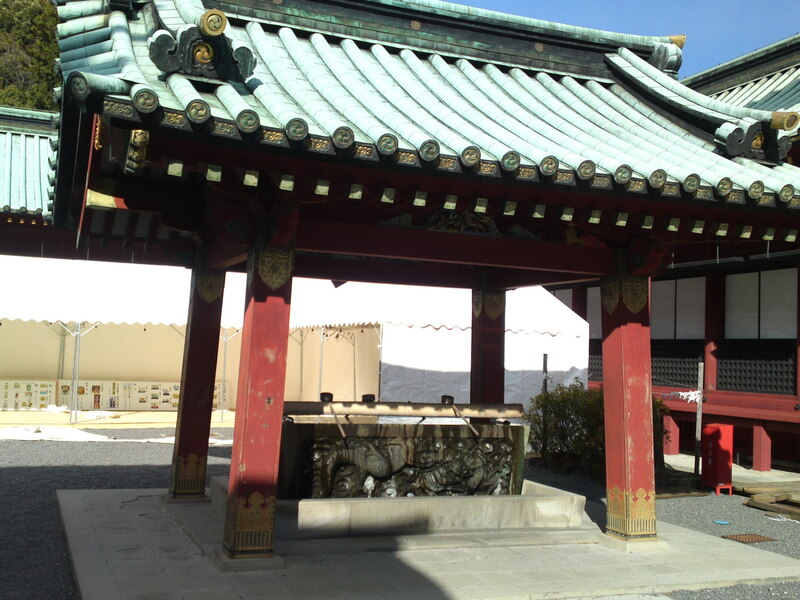 Large Shinto shrine might also include on their grounds platforms of various size and complexity to hold traditional sacred dances called “Kagura” and even Noh theater plays! 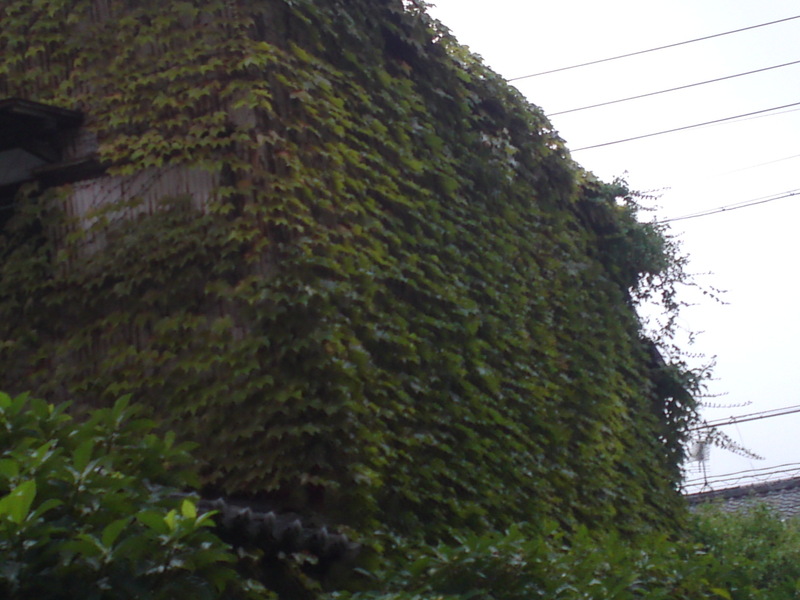 Abandoned Shizuoka: Ivy Chimney in Shizuoka City! 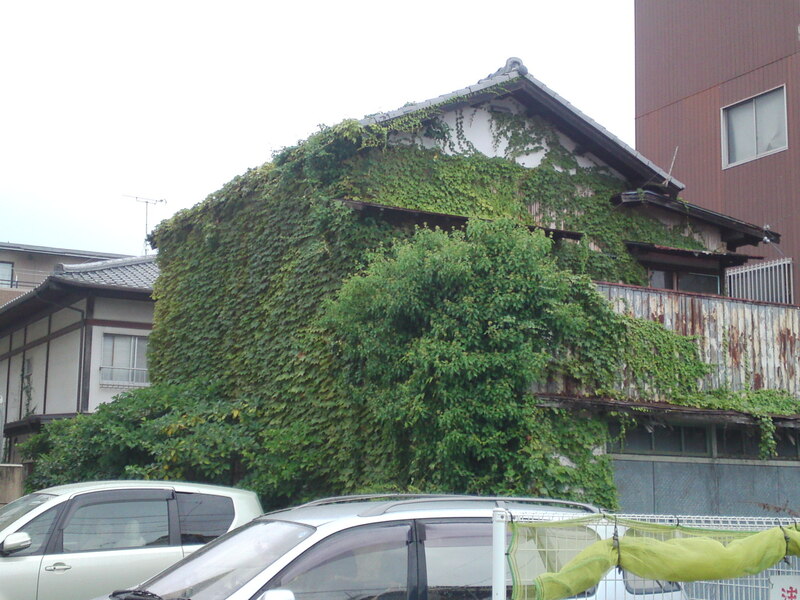 I was cycling around Yamato machi in Suruga Ku, Shizuoka City when I espied a green column poking out of a cluster of houses and decided to investigate! 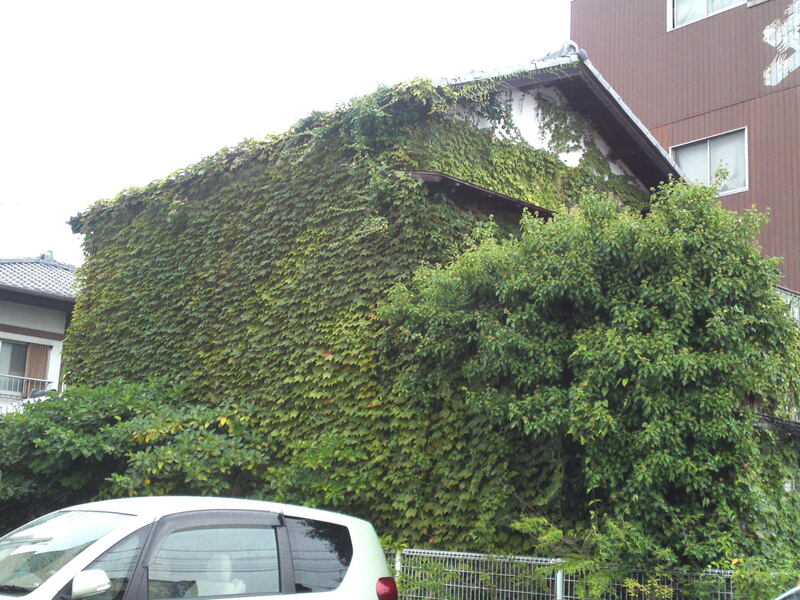 That is when I realized it was an old chimney completely overgrown with ivy! Getting near enough was nigh impossible as it was completely surrounded with no open access to it! 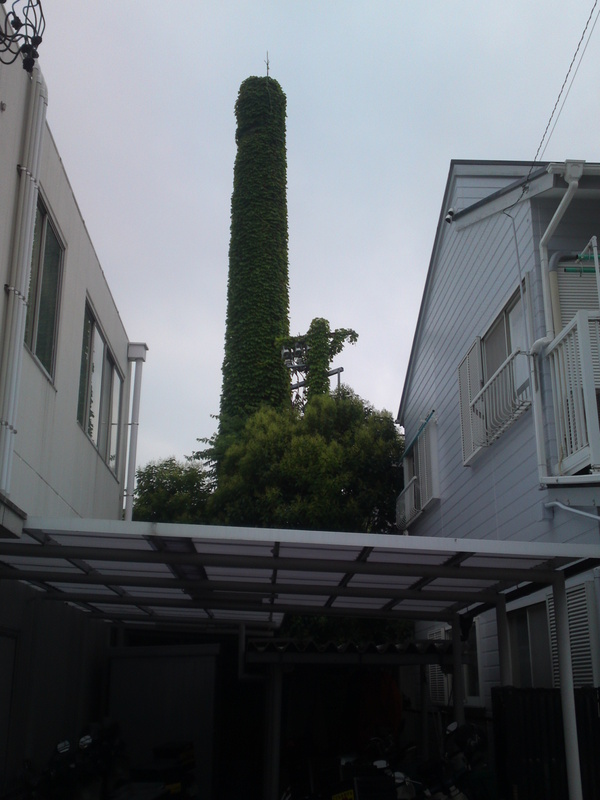 It is positively enormous by Japanese standards and would cost a fortune to pull down. The company in front seemed to have ceased business. They must have used an incinerator at their back. 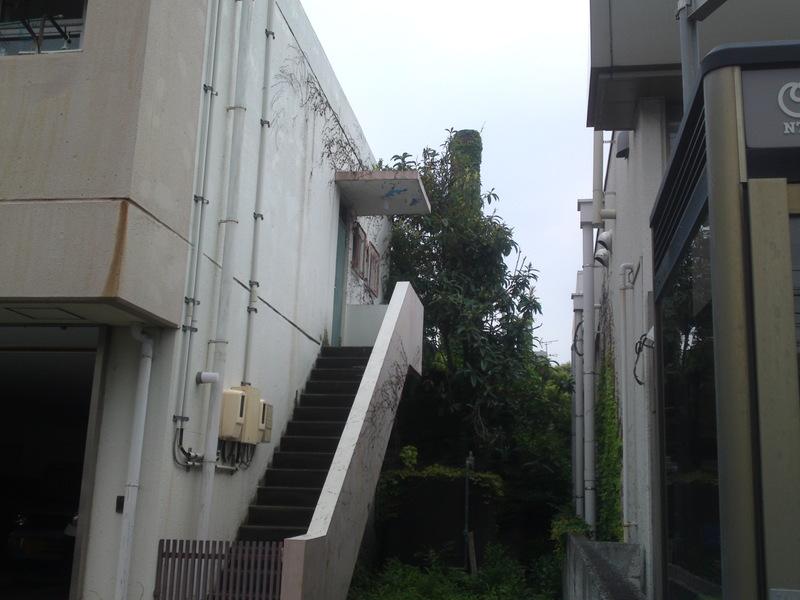 There was some kind of access for a better view with a flight of stairs but it was safely locked! I tried to walk though the high grass covering the small lane to another side access to what seemed a house or shed. 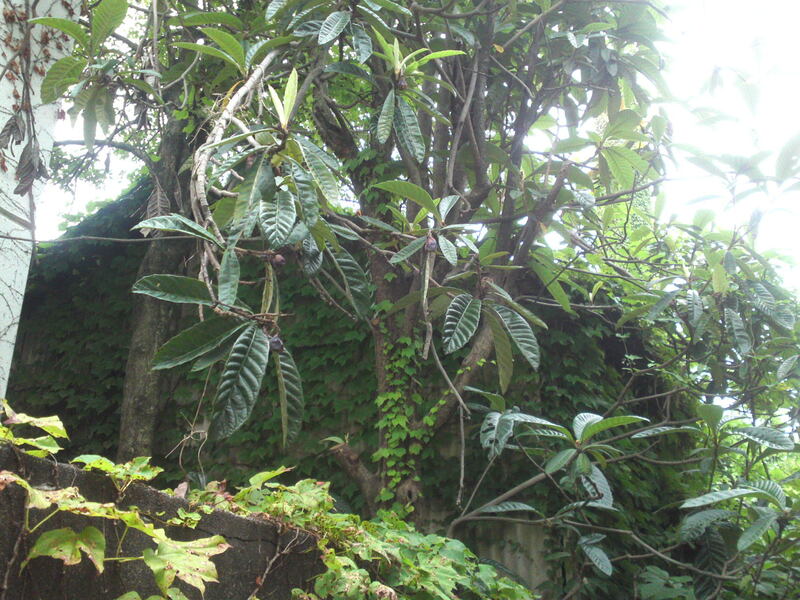 Unfortunately the gate was safely locked and the whole place overgrown with the trees of an abandoned garden, especially loquat trees! 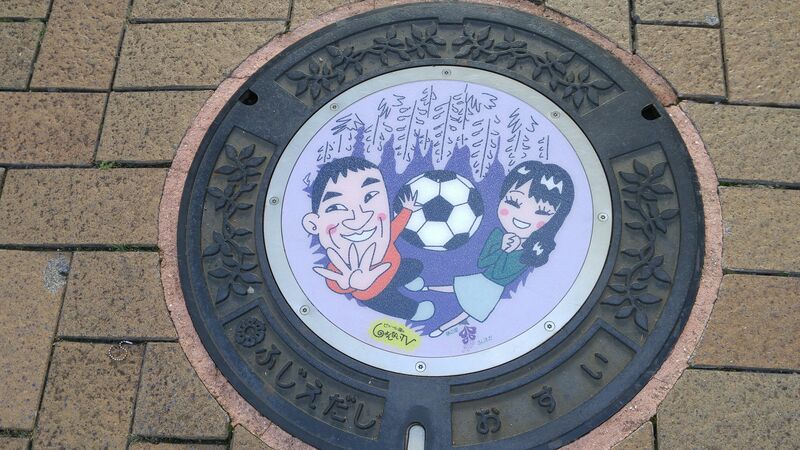 Romantic Gofuku Street in Shizuoka City? 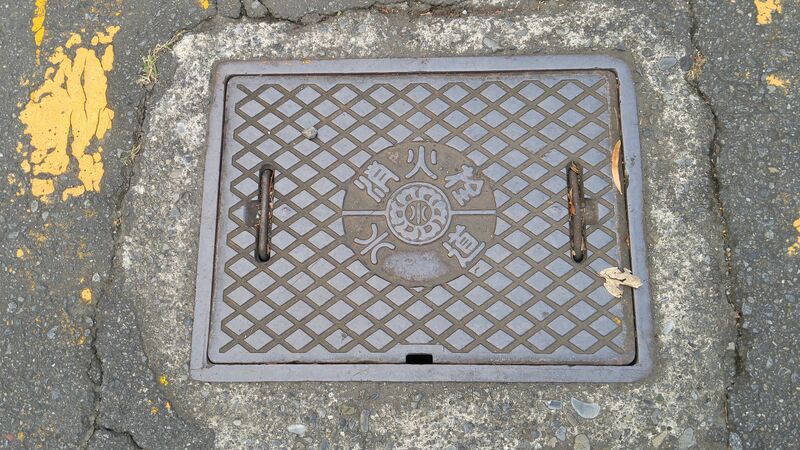 There is little romantic about Gofuku Street in Shizuoka City! It just shows you can easily transform any dour place into a destination with some appropriate photos! You don’t even need a professional camera and whatever paraphernalia. I took all these pictures with my mobile telephone! It is a Sony Ericsson they don’t make anymore, but I use it for all my blogs, although I do not use the flash! 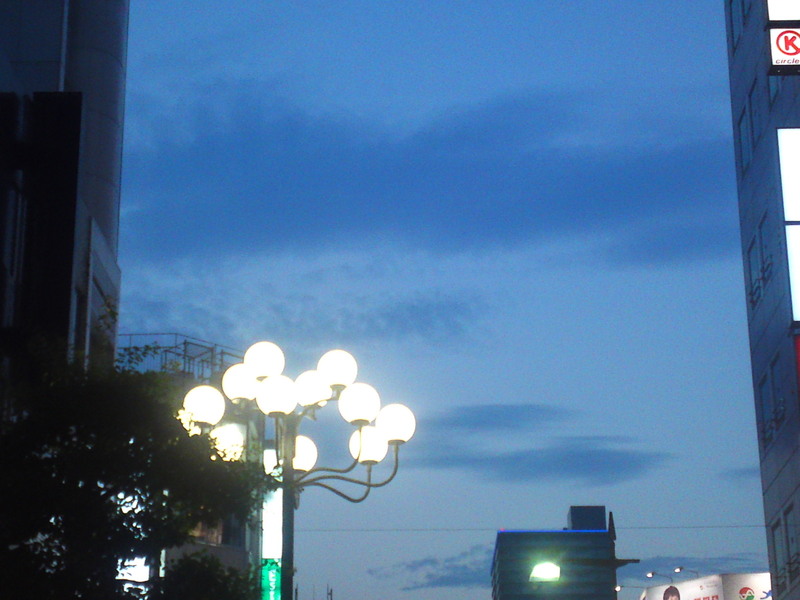 I was in Gofuku Street, walking aimelssly, at around 7:00 pm, just before dog and wolf as we say in French, but it was particularly dark. 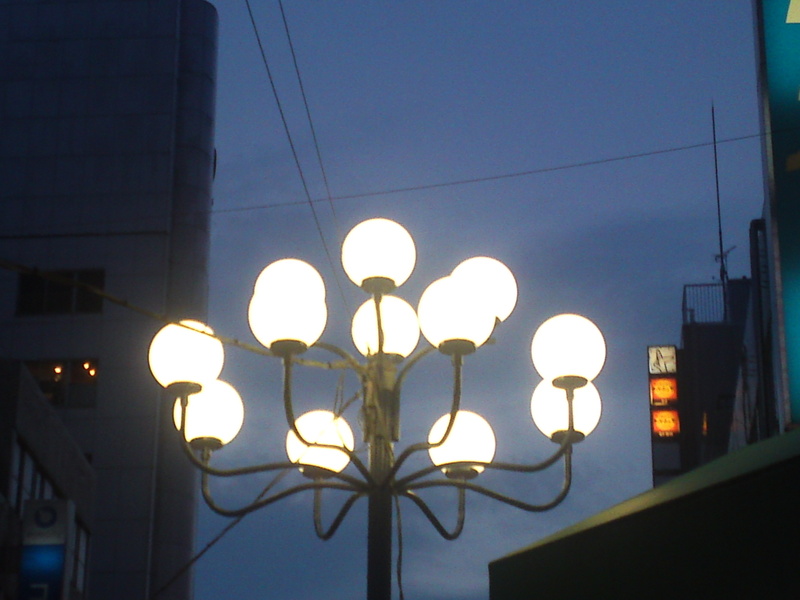 The contrast was naturally accentuated by the lamps focused by the camera. If you know the whims of your camera, or mobile phone for that matter, I’m sure you can come up with some very interesting shots indeed! And you don’t need to be a pro! 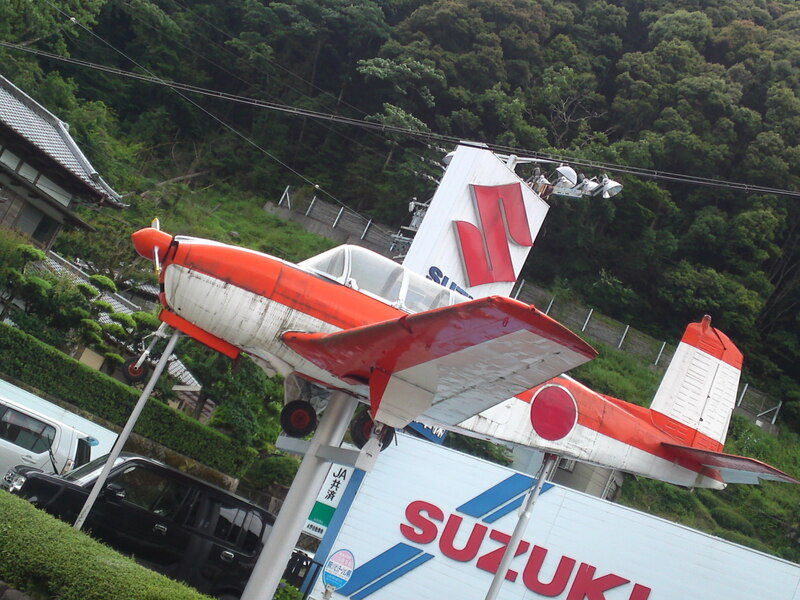 Plane, but not a “Zero”, along the Warashina Riwer, Shizuoka City, Aoi Ku, Tomizawa! Cycling gives you the great advantage to be able to stop anywhere and take photographs for posterity! 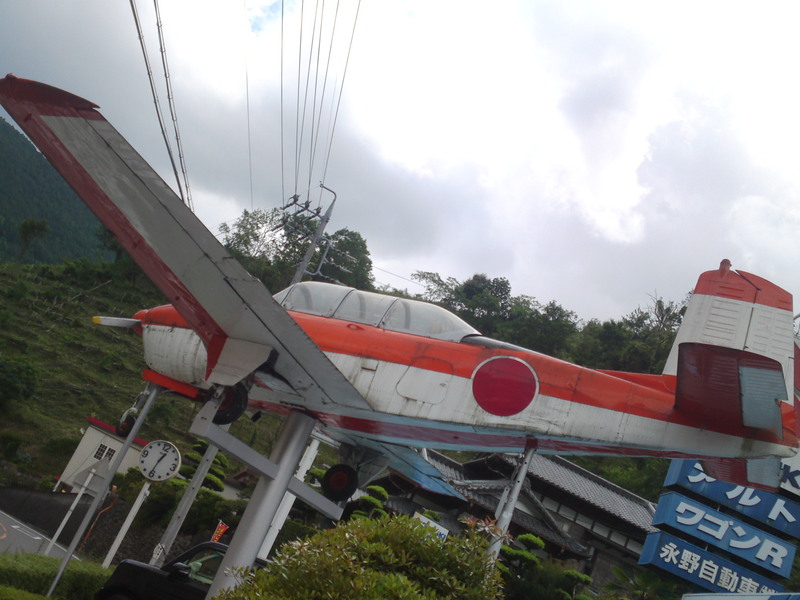 Yesterday i was cycling along the Warashina River in Aoi Ku, Shizuoka City when I found (for the second time actually. 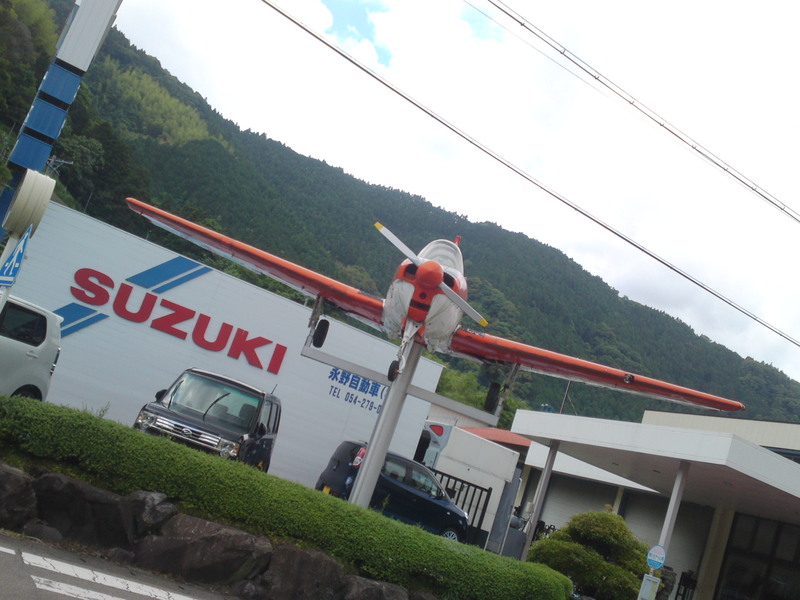 I had seen it there too many years ago) when Ifound this plane perched in front of a gasoline station in Tomizawa! 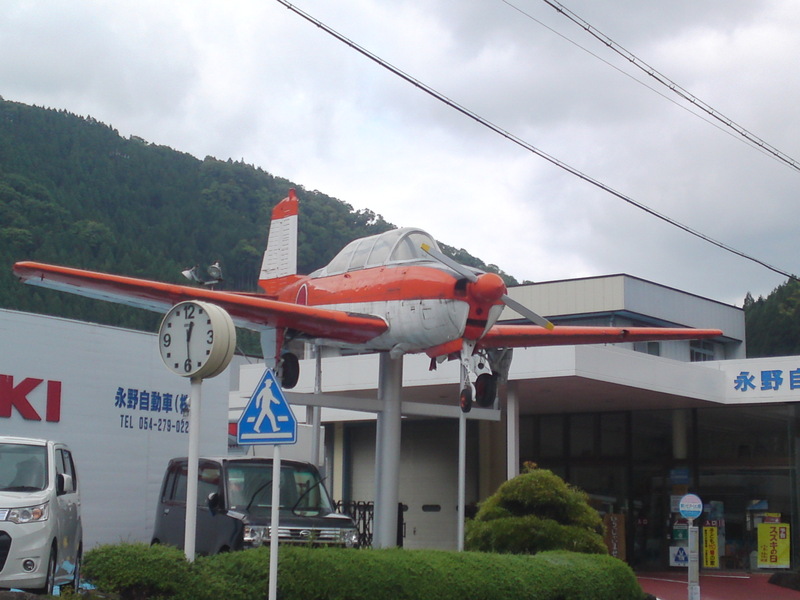 The owner had obviously tried to redecorate it to make it look like a “zero sen”, the famous WWII Japanese fighting plane! The cockpit may make you think so, but the landing gear is far too modern! 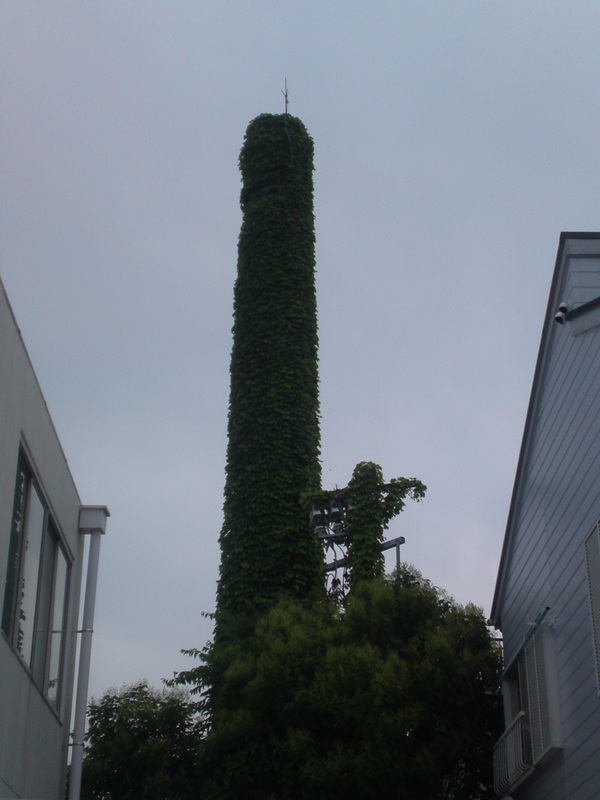 At the very least it has become a useful landmark! 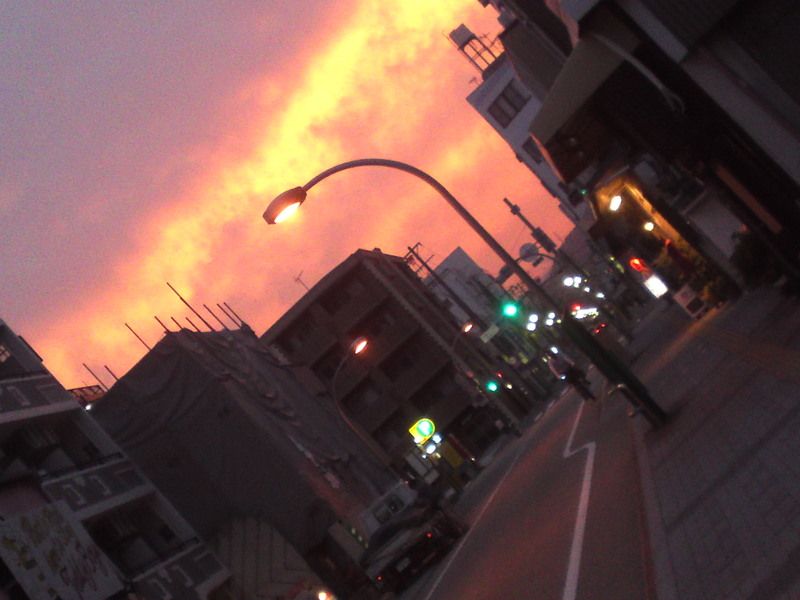 Blazing Sunset Before The First Drink in Shizuoka City! With the rainy season around the corner evening skies are more cloudy than usual and it results into some spectacular sunsets! 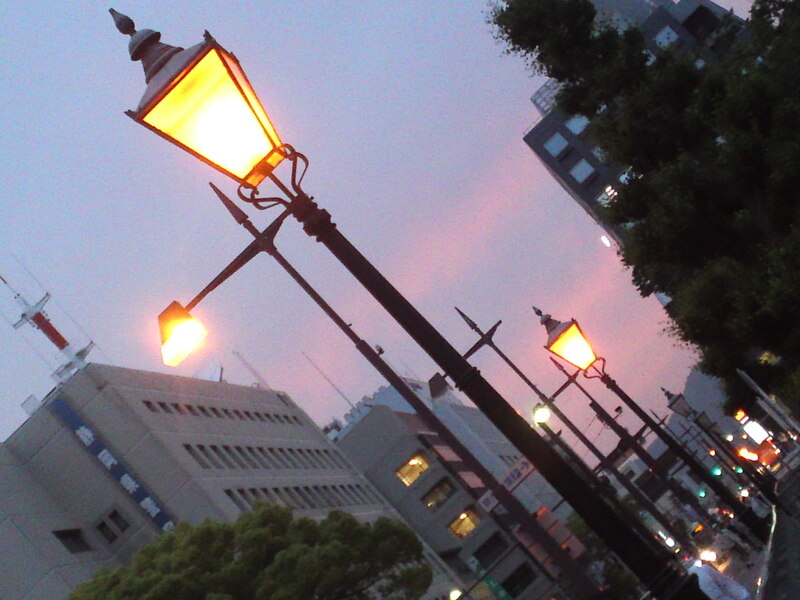 The Shichiken Cho area in Aoi Ku, Shizuoka City is a very interesting location to take pictures of urban sunsets thanks to some retro decorations existing along the streets! 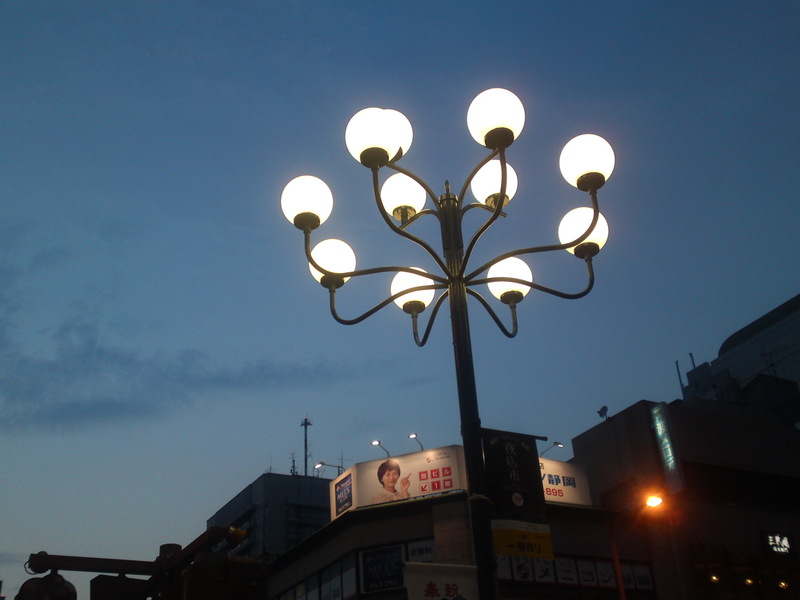 Even simple high rise buildings contribute to a special atmosphere! My favorite picture just before entering a hidden lair for the first drink of the evening!